Everyone can draw a simple heart shape , now learn how to transform it into a block print you’ll love! 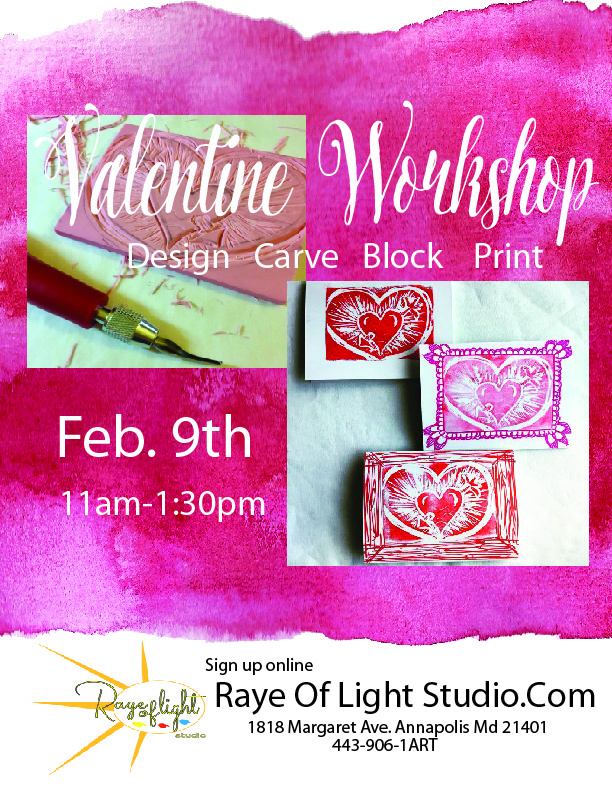 We are back and keeping our promise to teach you how to use your own heart design, carve and then make block prints! This fun 2.5 hour workshop even gives you the opportunity to wear your heart on your sleeve. You will print on paper making 6 valentines with the option to print on fabric. As that option you can bring in your own T- shirt from home. Re-purpose it in the studio by printing/ placing your heart on your sleeve. All materials and instruction included for this fun heartfelt class . You will leave with your carve block also so you can continue to print with your valentines at home!